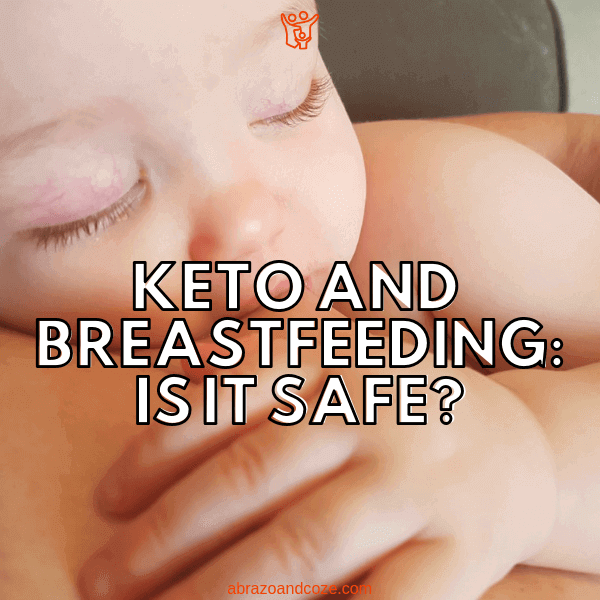 Keto And Breastfeeding - Is It Safe? Is Keto and Breastfeeding Safe? This post is not to be taken as medical advice. If you are unsure about your diet while breastfeeding, please ask your doctor. The ketogenic diet is taking the western world by storm! It seems everywhere you go people are talking about their low carb diet and how much weight they have lost. So it’s no surprise that new mothers are considering eating a keto diet along with easy exercises to get back in shape after having a baby. But is keto and breastfeeding safe? I follow the keto diet and I can’t express just how much I love it. The diet helps you lose weight, have more energy, clearer skin and just feel amazing! So it seems natural that exhausted new moms would look at eating keto to help them lose weight and feel better. It is well known that you need a healthy diet to help have a successful breastfeeding relationship. And in theory, a keto diet is healthy because it cuts out a lot of processed and sugary foods. However, there are a few things you need to consider before starting (or continuing) to eat a low-carb diet while breastfeeding. There is very little scientific research into low-carb diet and breastfeeding. There was one study in 2009 that compared a high carbohydrate/low fat diet (HC-LF) and a low carbohydrate/high fat (LC-HF) diet to see what effect they would have on milk production. The study found that there was no difference between the milk supply on the two different diets. The authors concluded that the mothers on the LC-HF (aka Keto) used more energy, therefore they would burn more body fat and possibly loss weight while having no effect on their milk supply. However, there are a number of dietitians, like Elizabeth Ward, that advise against combining keto and breastfeeding. They have many concerns such as the body needing starchy foods to maintain healthy gut bacteria. So with the experts divided on which is best, what should you do? As with almost all parenting decisions, you need to make the best choice based on your own individual situation. There is no “right” answer, so you need to weigh the “pros” and “cons” and make an educated decision for yourself and your baby. Below are a number of things that you will want to consider when making your decision about keto and breastfeeding. One of the biggest concerns of dietitians about the keto diet and breastfeeding is the reduction in calories. Now, you don’t have to reduce calories when eating keto – in fact, I eat the same (and sometimes more) calories now on keto than I did before. Eating any calorie restricted diet while breastfeeding is always a bad idea! Your body needs those calories to make that yummy milk for your baby! Although you do need to be careful while on the ketogenic diet because you might not realize that you are eating fewer calories! Because keto friendly foods are so filling, you will have a reduced appetite and just won’t WANT to eat as much. It might be useful to use an app like MyFitnessPal to track your food intake to check you are eating enough. So as long as you aren’t restricting your calorie intake then you should be OK on this front. The whole point of the keto diet is to restrict the amount of carbs you eat so your body will enter ketosis and burn fat instead of sugar. However, the one difference when breastfeeding while on keto is that your body is using additional sugar to produce your milk. That means there is a slightly higher risk of a dangerous condition called ketoacidosis. This is very rare, but there are 4 recorded cases of this, and at least one of these cases was due to low-calorie intake as well as low-carb intake. The solution is not to restrict your carbs as much as you normally would. For instance, I eat about 15 grams of carbs a day to stay in ketosis. But if I was breastfeeding I would want to consume at least 30-50 grams. This is another reason why tracking your diet with MyFitnessPal or similar apps might be useful. This consideration is an important one. One of the reasons that some mothers struggle to maintain their milk supply is because they are not consuming enough water. You need to dramatically increase your water intake while breastfeeding. One of the key components of the keto diet is to make sure you drink enough water, too. The ketosis process (burning fat instead of sugar for energy) uses more water. Lots of people have trouble with the keto diet because they don’t consume enough water and electrolytes. Keto and breastfeeding are two states where your body is using a LOT of water. So if you decide to eat keto while breastfeeding, then you need to make sure you are consuming enough water. You might have heard about ‘Keto Flu’. Basically when your body is switching between consuming sugars to fats for energy you might experience flu like symptoms. You might feel achy, tired or have headaches. Not a very pleasant experience! However, the symptoms can be minimized by making sure you drink enough water and keep your electrolytes balanced. Now imagine you have a newborn baby and decide to start the keto diet – can you handle the fact you might experience flu-like symptoms for a few days? If you already have an established breastfeeding relationship with your baby, then maybe it will be manageable. You have to think about your own situation and decide if you can manage it. Consuming sufficient nutrients is always important while breastfeeding, no matter what kind of diet you are on. So just make sure you continue to take your vitamins! Maintaining healthy vitamin and mineral levels can also help with ‘Keto Flu’ symptoms, so it’s even more important when you first start the keto diet. One concern of dietitians is that mothers will not be consuming enough fiber on a low-carb diet. Whole grains are an excellent source of fiber, but you won’t be eating those on the keto diet! However, there are plenty of keto friendly vegetables that have enough fiber in them. So you just need to make sure you plan your meals to include plenty of those options. One of the amazing things about the ketogenic diet is the increase in energy you get! I love it! No more afternoon slump! Although my children are older now, I clearly remember the constant feeling of exhaustion. I would always have to nap at the same time as my babies because I was always so drained. However, I can’t imagine how different things would have been if I had my “keto energy” when they were small! Also, while on the keto diet you have much clearer thinking and more focus. This would be a nice balance to the “mommy brain” and foggy thinking! If you are new to the keto diet then it is going to take a little bit more time and energy to start with to plan your meals. Before I started eating keto, I might have thrown a frozen pizza in the oven for dinner on the days when I was too tired to do anything else. But most convenience/processed foods aren’t an option on the keto diet. You need to think about what you will cook for dinner on the days that you have a colicky baby crying on your hip! It’s not impossible, it just will take a little pre-planning, such as cooking double batches when you can and freeze the extra. 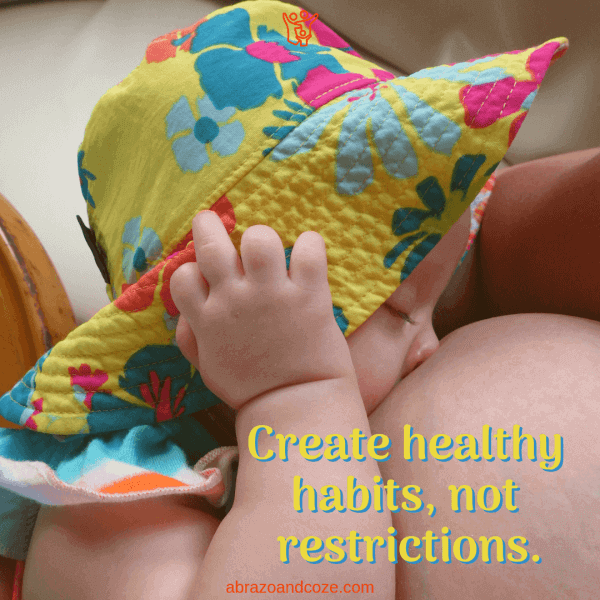 Whether you decide to do keto and breastfeeding or not is completely up to you! Everyone has different priorities and demands on them. So now you need to give it some thought and decide what is right for you and your baby! Don’t let other people sway your thinking – only YOU know your whole situation and what is best for you and baby! Have faith in yourself and your decisions! What do you think? 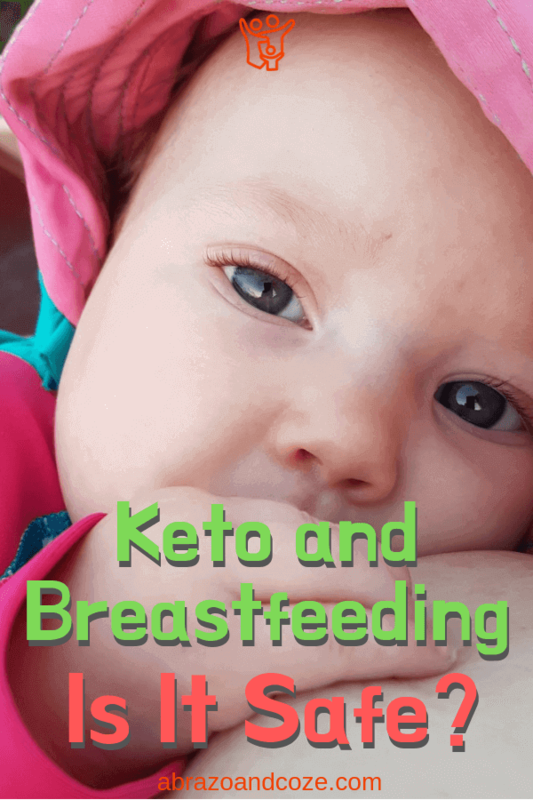 Will you be doing keto while breastfeeding? Let me know your thoughts in the comments below.